Choose from 260 pre-engineered models in various widths, lengths and depths, with fast shipping, or we can custom design an Enclosed Finishing Paint Booth to meet your requirements. 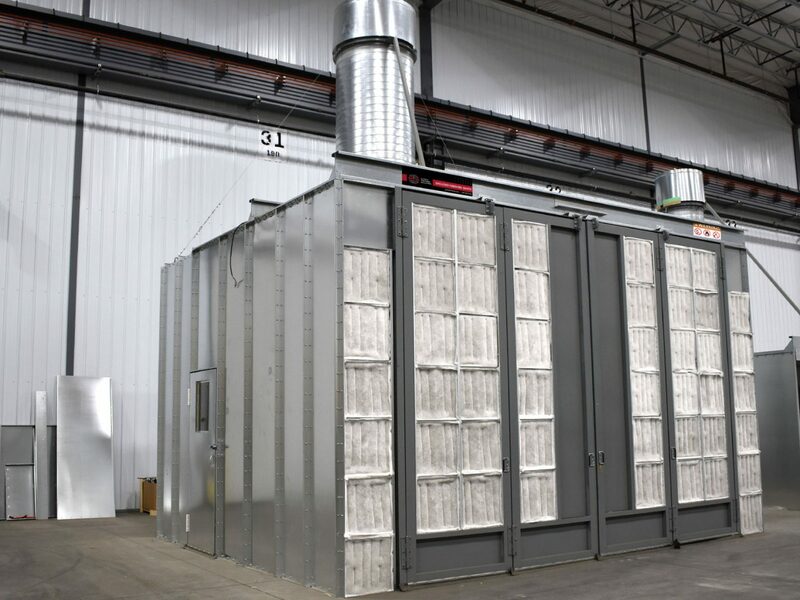 With many features and options to choose from, you are sure to find the right size spray booth for your specific application. 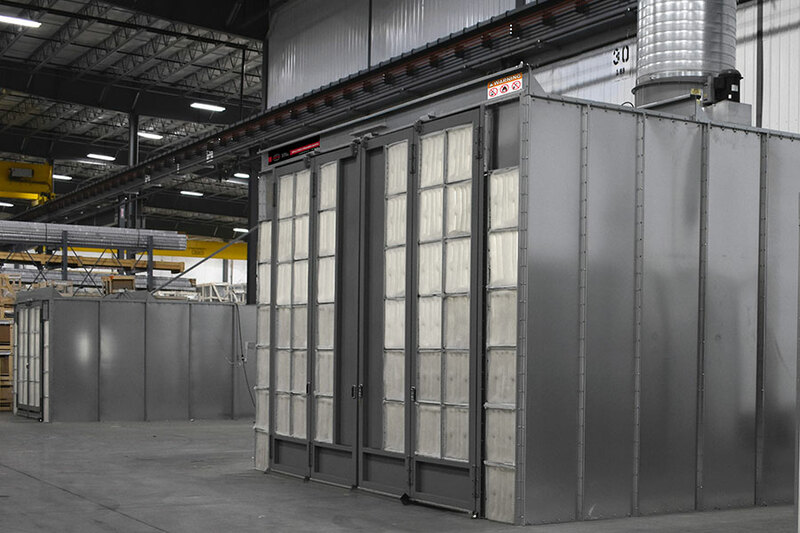 Not just a sheet metal box, Enclosed Finishing Paint Booths from GFS are expertly designed and engineered for reliable performance and longevity. We guarantee quality by carefully selecting all paint booth components and manufacturing or assembling the majority of these components in-house. Wall panels are precision punched in our state-of-the-art facility for rigid nut-and-bolt construction. You can count on your GFS paint booth to deliver consistent results and last many years of use. 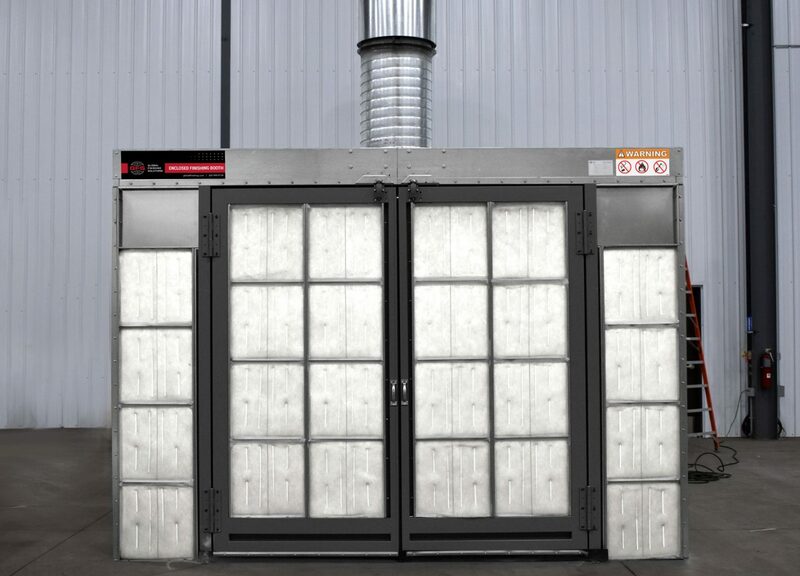 Filtered doors with high-efficiency tacky intake filters on GFS Enclosed Finishing Paint Booths prevent dirt and dust from entering the paint booth for cleaner paint jobs with less rework. 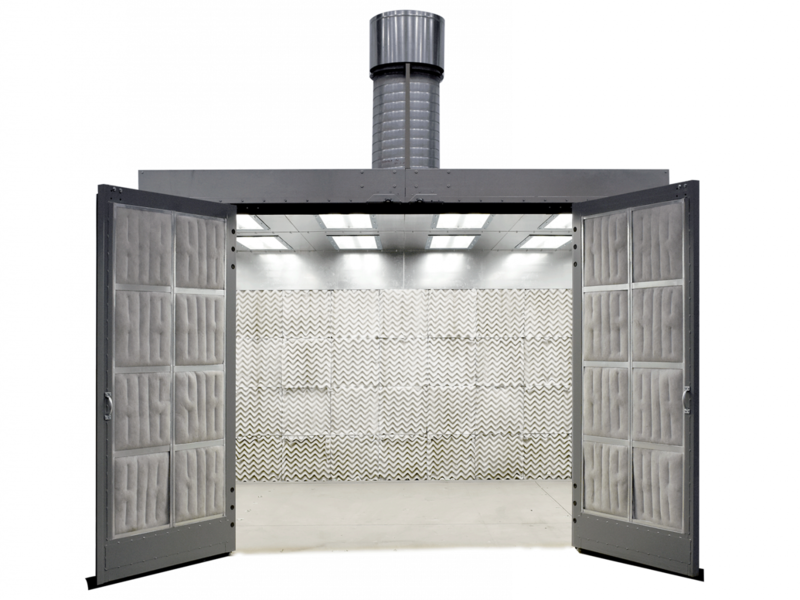 GFS Wave filters in the booth exhaust chamber feature a 99.94 percent removal efficiency and excellent holding capacity for less run-off and a cleaner exhaust airstream. 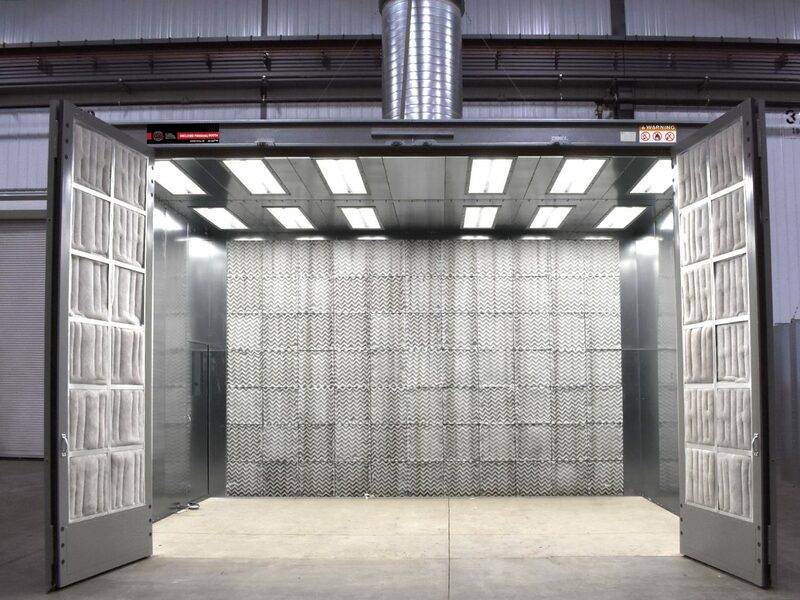 WANT TO LEARN MORE ABOUT ENCLOSED FINISHING PAINT BOOTHS? Fill out our request form and we’ll put you in contact with a distributor in your area.